When I was young I loved to take over the kitchen and making big meals for my family. We would all go to the fresh market and pick out our groceries for the week, my parents let me bring my “recipe book” and I would get ingredients to make my big meals for everyone. 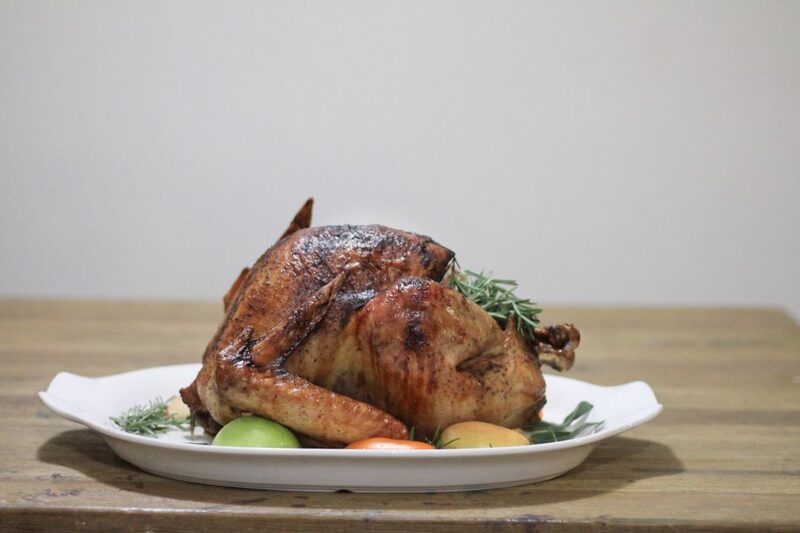 One Christmas, I decided that I needed to make the perfect roasted turkey and so I made us go all around the market to get the perfect ingredients. 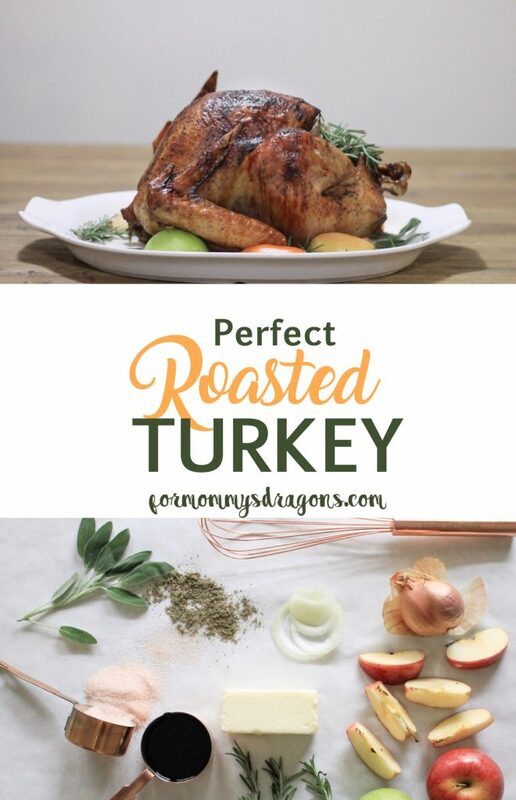 This started a tradition, every year we would all be excited about my perfect roasted turkey and I loved making it every time. My dad loved it and he would always tell me that it was the best meal I ever made, but that was only until the next meal when he would say the same. After I got married and moved away I haven’t made my recipe many times. For this Thanksgiving, I thought this is the only thing I want to make. As many of you know, I lost my daddy only a few months ago, so I want to be thankful for the memories and the good years of love that we shared with him. I want to talk about him and the way he would always celebrate with food, and how he would always find a perfect reason why my boys needed just one more serving of ice cream. I was about 15 when I started this recipe, so it is pretty simple, I believe that changes probably were made through the years but honestly, I don’t remember when. Before even starting to make preparations, I put the turkey inside a big pot or container with salt water overnight. When it’s time to cook I get all my ingredients and get the party started. First I made a sauce with apple cider vinegar, soy sauce, brandy, apple cider, cinnamon, and some chopped dried sage. It’s important that you do this first so that it has time to cool down. It’s important to take the turkey out of the water and dry it, inside and out. After that, I prepare a mixture of quartered apples, onions, rosemary, fresh sage, and cinnamon. When it’s all mixed up, that goes inside the cavity of the turkey. Then came a process that I’ve tried in many different orders but I believe this is the best: soften the butter, paint it or rub it all over the bird, make sure your apple cider sauce has cooled down and poured it all over also. I have to make sure that the sauce goes all over, so sometimes I use the baster to make sure. the last step before the oven is to put salt and pepper all over the top of the turkey, it should stick to the butter. When all of that was done, I put the turkey in the oven at 325 and set an alarm to baste it every 30 minutes. Once the color is perfect, I put a piece of foil over the top of it to avoid burning the skin. Another important thing to do is to let the turkey rest for 20 minutes, covered with foil on your serving tray. After that carve it and enjoy! If you try this recipe please share that with me? I would love to hear all about it! You can also pin it and share it with all of your friends! bake the turkey 15-20 minutes per pound. 1 Turkey at room temperature. 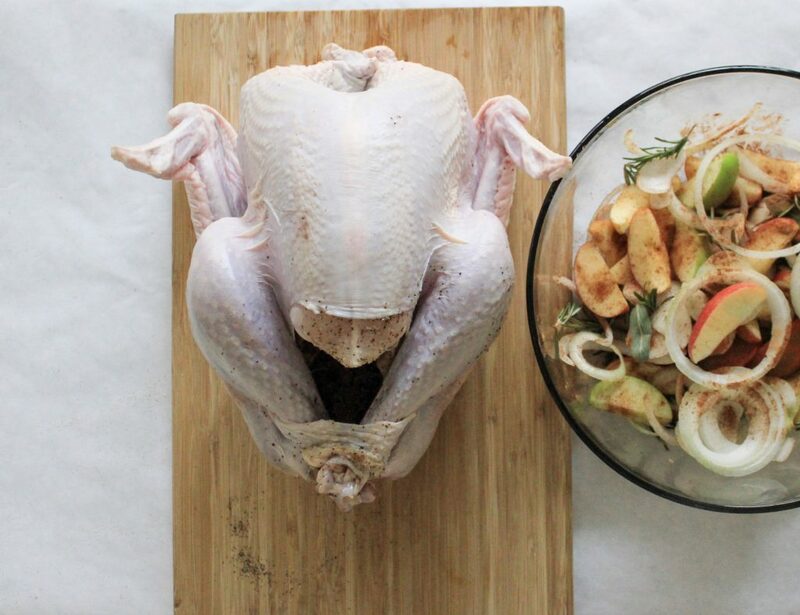 Put the turkey inside of salt water overnight, when you are ready to start, take it out and make sure to dry it inside and out. Season the cavity with salt and pepper. 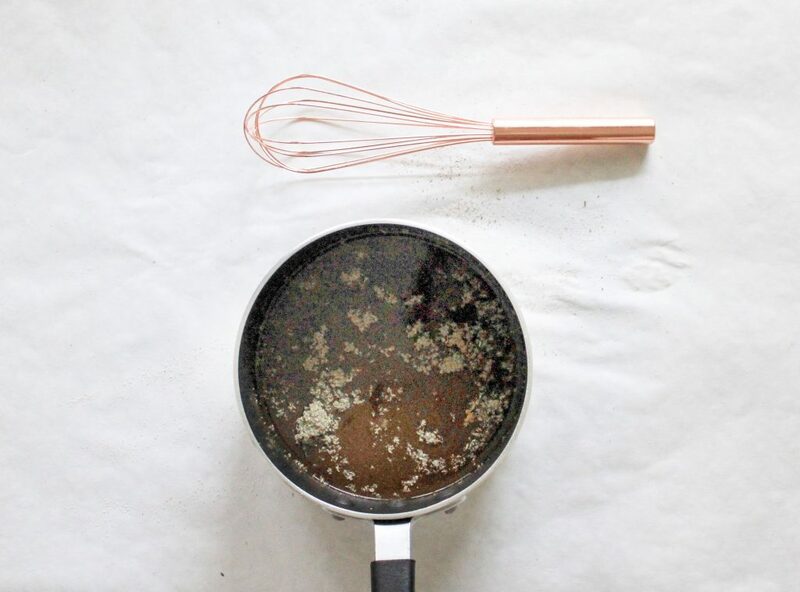 Mix the apple cider, brandy, soy sauce, vinegar, cinnamon and dry sage in a small saucepan. Bring to a boil and boil for 3 to 5 minutes. 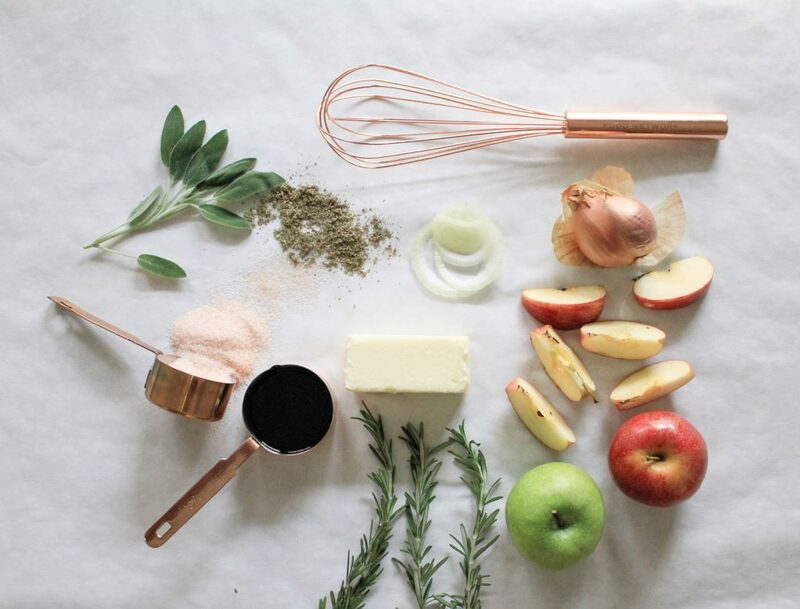 In a large mixing bowl, add together the quartered apples, onion, rosemary and fresh sage. Use this to fill the entire cavity of the turkey. Set the turkey in your baking pan. Rub the butter all over it (room temperature) then pour half of the apple cider sauce all over it; you can use a brush to make sure that it touches all the surfaces. Season the treated surfaces with salt and pepper. Put the turkey in the oven and baste it every 30 minutes using the leftover cider sauce and then it’s own juices. When the turkey has the color that you want to achieve, cover the top of it with foil and only remove to baste. 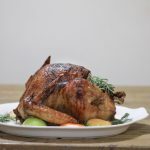 Remove the turkey from the oven, discard the apple mix from the cavity, and place it on a serving platter, cover the turkey with foil for 20 minutes to let it rest. Then uncover and carve. Mix the juices with 1/4 cup of apple cider, 2 cups of chicken broth and 2 Tbsp of cornstarch to make a delicious sauce that goes well with the turkey. 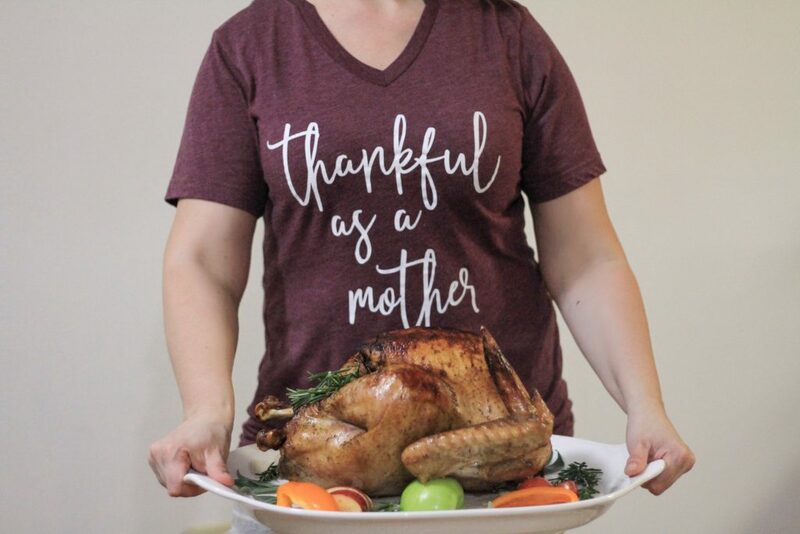 Some of my favorite blogger friends and I decided to get all of our recipes together to make one amazing Thanksgiving meal for you! Check these awesome recipes out! Spiced Cranberry Pear Dump Cake. Gluten Free Chocolate Cranberry pie. Old Fashioned Coconut Cream Pie. Nice recipe and must surely try it out!